Background vehicle information will appear here in due course. 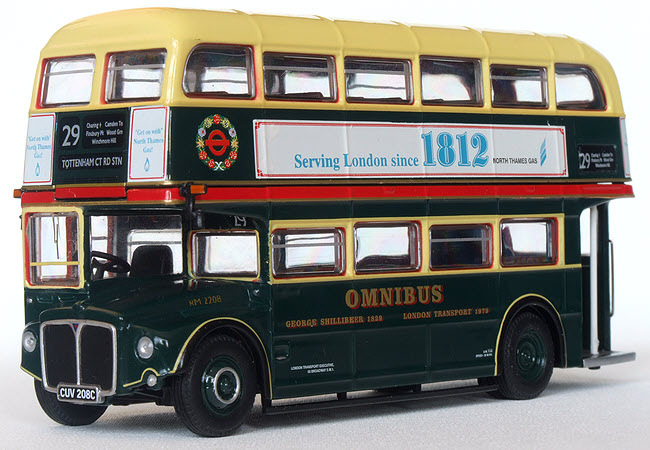 Corgi announced in April 2009 that a new tooling of the London Transport RM Class AEC Routemaster bus would be added to the OOC range and the first pair of model were duly released at the start of 2010. An open top version of the model was announced in the April to September 2010 catalogue and was released in August 2010. The model has glazed destination displays while the interior detailing includes seats which are individually printed to represent the seat cushion motif.